In May 2014, we were lucky enough to have direct access to the great machines of the industrial revolution on display in London’s Science Museum; the Mill Engine, by the Burnley Ironworks company, 1903, the Difference Engine No2, by Charles Babbage 1849. Sound has been integral in the relationship of the machines and their operators; used as a primary diagnostic tool, the ‘sound’ of various operating components reveal the machines state of well being. Operators listened to the ‘song’ of their engines, gaining insight in to particular problems, and clues to required maintenance. Using accelerometers fixed to the steelwork of the engines, we could extract this world of sound; escaping steam, muscular pistons, popping and crackling valves … rhythmic and stuttering, sensitive and forthright… the ‘man made’ qualities of the engineering being exposed in the recordings. Track 01. 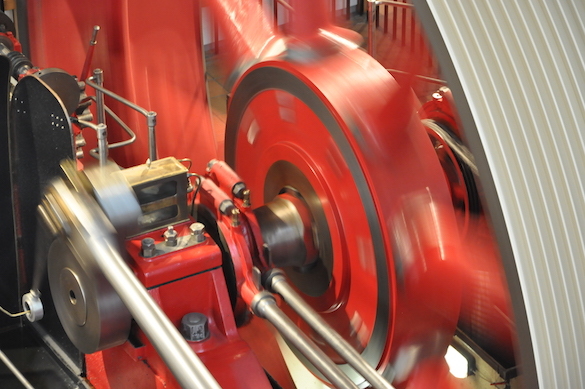 Mill Engine: A series of recordings of various parts of the engine. Audialsense would like to thank Aleksander Kolkowski and the conservators of the Science Museum. Click here for Audialsense’s‘s website.